Device looks “as new” (only microscopic surface marks or very fine scratches). This phone is ex-demo or change of mind return and is very lightly used. Please click on the below condition tab for sample photos and further information. 7 Day Satisfaction Guarantee - We know that you will be delighted by the phone we send you and we back that with a 7 Day satisfaction guarantee. If you aren't 100% happy with your phone just return it to us in the same condition within 7 days for a refund of the purchase price. 6 Month Repair or Replacement Warranty – All of our products are tested to the highest standards and we stand behind their quality. If you have any issues with the phone in the first 6 months we will repair or replace the device. All Phones are Network Unlocked – Every phone is network unlocked (not jailbroken or unlocked by third party software) and ready to work on any GSM, 3G or 4G network (depending on the model) n Australia or around the world. We also check that the device does not have iCloud lock or other anti-theft locks. All orders processed by the next business day – Your completed order will be processed on the same day or next day and sent to you via your preferred shipping method. If you have any questions or feedback regarding an order please contact us through eBay messages. We have people standing by to answer your questions and generally respond to all message within a couple of hours during business hours. Please keep in mind that our regular days of trade and store hours are Monday - Friday 9AM - 5PM AEST. We are unable to respond to any questions outside those times. We do not trade on public holidays in the state of New South Wales, Australia and will not be able to respond to questions on these days either. You are required to obtain a return authorisation from the Certified Tech Direct Customer Service Team before returning any item. Repair, refund or replacement will not be processed until the item has been received and inspected by a Certified Tech Direct representative. All items are graded based on their cosmetic appearance as FAIR/USED, GREAT, EXCELLENT, NEW: NEVER USED OR BRAND NEW. Certified Tech Direct are very careful to make sure that we correctly grade the devices but ultimately it is a subjective exercise. We supply indicative photos in the listing to give you a clear guide of what you can expect. If you have any concerns at all upon receiving your phone please contact us via email and we will work with you to get a fair resolution. Please don't open a return case before discussing with our team. Industry leading 72 Point Inspection process - EVERY single product undergoes an extensive 72 point inspection process that ensures that it meets the high standards that you deserve. 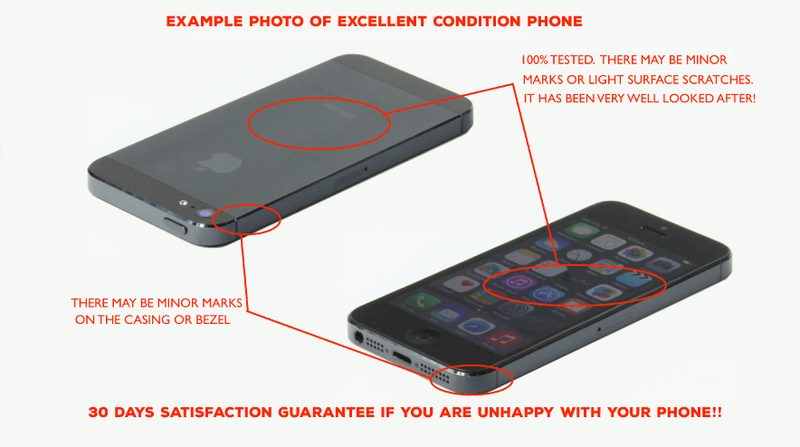 Clear and simple grading - To ensure that you know what you are buying and get what you expect, we provide a clear grading guideline that shows what physical condition the phone is in. We also provide example images of the phone along with a stock image. Manage your workflow effectively, wherever inspiration strikes. Weighing in at 648 g, the Galaxy book is the ideal device to stay productive on the move. 10.6"(268.6mm), 1920 x 1080, Front Camera 5MP, 4GB RAM, 128GB ROM, Single-SIM, Nano-SIM, USB 3.1 Type C, 3G, 4G, Bluetooth 4.1, Wi-Fi 802.11a/b/g/n/ac, Windows 10 Home. See the bigger picture with the Galaxy Book’s stunning 10.6'' FHD display. Create your own content, stream your favourite shows or view documents and images at home or on the go. Please note the tablet will be shipped in a retail white box with a USB cable only as confirmed in the package contents tab. - Main Display Size: 10.6"
EXCELLENT – Device looks “as new” (only microscopic surface marks or very fine scratches). This phone is ex-demo or change of mind return and is very lightly used. All phone batteries have different capacity and the amount of time that they will last depends on capacity and type of usage. Certified Tech Direct tests every battery to ensure that it is above 80% of its original manufactured capacity. From time to time the capacity of the battery drops unexpectedly, causing issues. Batteries ARE covered by warranty – to take advantage of this warranty please contact us at customer.support@certifiedtechdirect.comand we will diagnose the problem and resolve it for you immediately. If your order is completed and paid by 2PM AEST it will be dispatched on the SAME DAY. Orders placed after this will be dispatched next business day. If you aren’t 100% happy with your phone just return it to us in the same condition within 30 days for a refund of the purchase price. If you have any issues with the phone in the first six months we will repair, replace, or refund the device. Every single product undergoes an extensive 72 point inspection process that ensures that it meets the high standards that you deserve. We use Australia Post Service for delivery to residential/business addresses and AusPost to PO Boxes and some regional locations.